We live in an extremely sleep-deprived society. According to the Centers for Disease Control (CDC), 1 in 3 people in the United States does not get enough sleep on a regular basis. 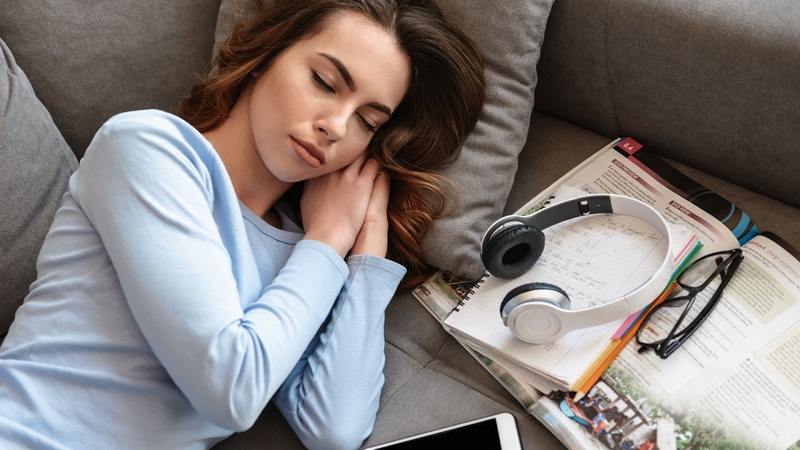 Additionally, the National Sleep Foundation reports that 45 percent of adults in the US admit that insufficient or poor sleep has had an impact on their daily activities at least once in the previous week. What’s more, about a third of the people who said they slept the number of hours that doctors recommend reported experiencing poor sleep quality. Insufficient or poor sleep has been linked to numerous health issues. People who don’t get enough sleep or their sleep quality is poor, have a higher risk of developing dangerous health conditions such as heart disease, diabetes, and obesity. Over the long term, it has been linked to a shortened lifespan. It may be tempting to forego sleep to have a few extra hours of awake time, but the price is far too high. Your body and mind need sleep and when you deny that need you set in motion the potential for some severe impacts on your health. Sleep is when your body and brain rest and rejuvenate. When you have adequate sleep, you will find that you are more focused and you have better mental clarity. You will also notice increased energy and a better mood. When you don’t give your body the rest, it needs you will begin to feel drained and irritable. You may also notice that you get sick more often as sleep is directly tied to immune function. One study even found that people who got eight hours of sleep a night were less likely to catch a cold or develop cold symptoms that those who got less than seven hours a night. In fact, those who got less than seven hours were three times more likely to get sick. There is no denying, sleep is essential. Adults should get between seven and nine hours of sleep a night, preferably uninterrupted, within 24 hours on a regular basis. There is more to a good night’s sleep than just quantity though. You should be able to fall asleep within about 20 minutes after you lie down and stay asleep. When you wake, you should feel refreshed and alert, productive throughout most of the day – although it is normal for a person to notice a temporary decrease in energy and alertness later in the afternoon. If your family members, friend, or spouse notice any unusual or troubling sleep behaviors such as snoring, restlessness, pauses in breathing, or nightmares it could indicate a more significant problem other than the interrupted sleep. It is well worth visiting your doctor to get help and remedy the situation because sleep is one of the essential needs your body has – and you can’t survive without it.